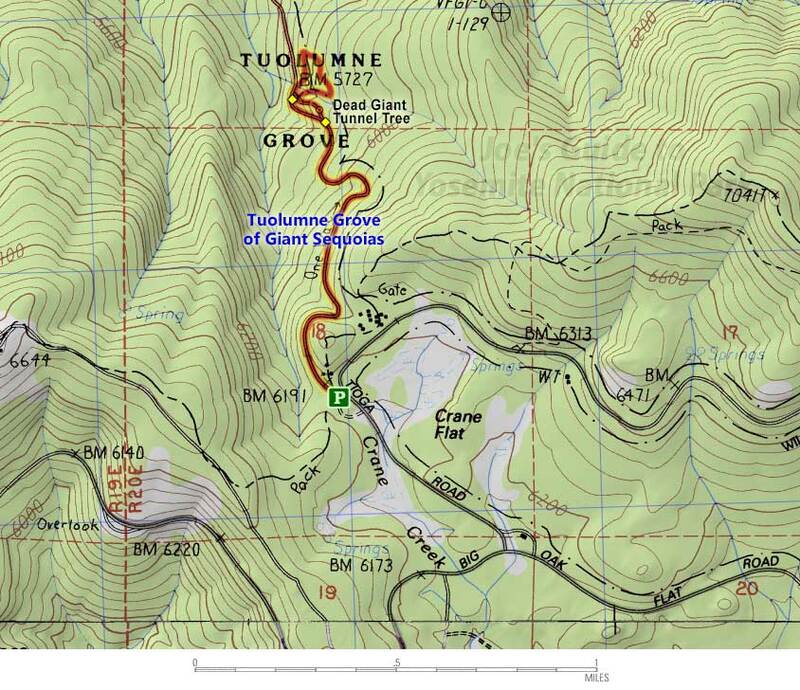 The Tuolumne Grove trailhead is located near the start of Tioga Road, roughly .6 miles from the Crane Flat gas station at the junction with Big Oak Flat Road. The parking area is fairly large, but on a touristy summer day, it can get crowded, especially when a tour bus or two show up. If the lot is full, some roadside parking is available, but please obey all parking signs and do not block the neighboring camps. From the parking lot, hike along the remnants of the Old Big Oak Flat Road as it heads north and makes a steady descent into the forest. (Note the 400-ft elevation loss as you will have to hike back up this on your return!) After roughly a mile of hiking, you will reach the junctions of two short loop hikes with almost a dozen giant sequoias scattered throughout. The first loop goes past the infamous Dead Giant Tunnel Tree and is a great photo op. 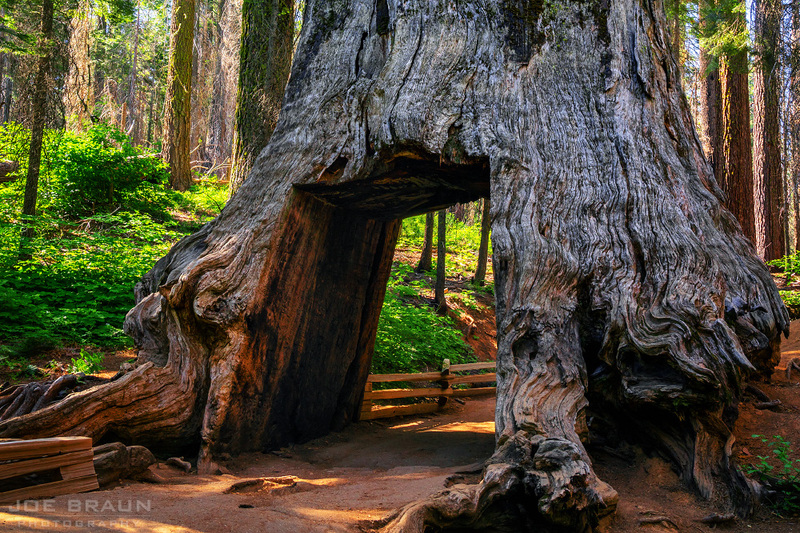 The second slightly longer loop goes past several fallen sequoias and is a big attraction to young children who love to climb on top of and explore inside the trunks. While you can hike Old Big Oak Flat Road another 4 miles all the way down to Hodgdon Meadow and the Big Oak Flat Entrance Station, most people will turn back to the Tuolumne Grove parking lot and continue on to their next destination along Tioga Road. The Tuolumne Grove is a worthy spot to visit even if it doesn't have as many cleverly-named attractions as the Mariposa Grove. And if you want a bit more calm, try to get here early in the day before the tour groups take over the area.